The mind-muscle connection has become a huge component of bodybuilding with many trainers swearing by its efficacy. The idea is that you utilize an, “internal focus,” in which you concentrate specifically on the contraction of the working muscle while performing a given lift. For instance, during a biceps curl one would focus intently on the squeezing action of their biceps during the lift. This type of focus seems extremely effective at increasing muscle activation (2,3,4,5,6,10,11,12,17) but is it optimal for all strength athletes? “Internal focus” refers to the mind-muscle connection. 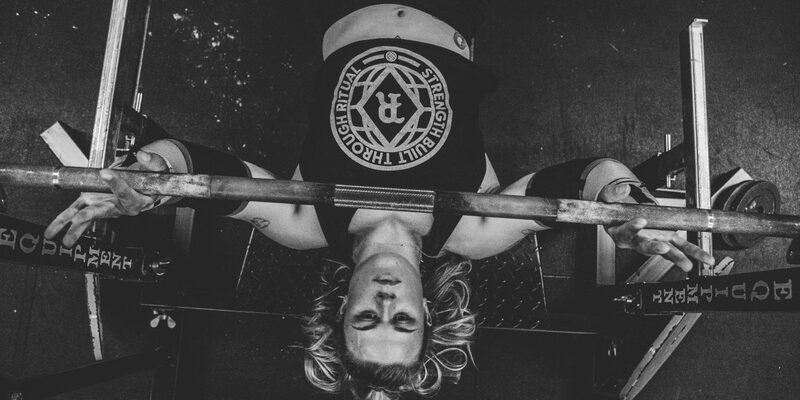 The other type of focus often preached for lifting is an, “external focus,” where you emphasize the movement of the weight or your surroundings over the movement of your body/muscles (10,17). In this instance, telling someone to, “squeeze their glutes,” during a squat gives them an internal focus but telling someone to “push the floor away” during a squat creates an external focus. Interestingly enough, studies have found that adopting an internal focus only increases muscle activation up to about 60% of maximum strength (3). This percentage represents the peak muscle activation difference when compared to no focus/external focus, but this activation slowly decreases between 60% and 80% where eventually there’s no longer any difference in activation (3). This 80% marker represents the point where too much muscle force is required to create a mind-muscle connection (3,10,11). Thus, an internal focus may not be advantageous for strength athletes other than bodybuilders who often surpass 80% in training. Interestingly enough, adopting an external focus has shown to improve performance in countless sport skills and increase muscular power production (1,6,7,8,9,10,14,15,16,17,18). It seems, then, that embracing an external focus is appropriate for both practicing sports skills and strength athletes who are concerned with optimizing their performance. 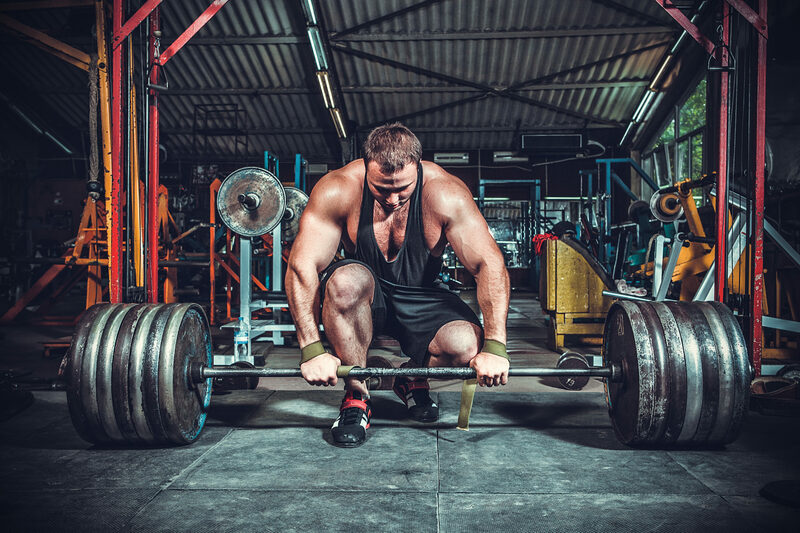 Utilizing this knowledge can help you think of lifting cues during training that may help you increase power production during certain lifts. If you’re trying to squat a house, think about pushing the floor away from yourself. If you’re trying to PR on bench press, think about pushing yourself away from the bar. And on deadlift, focus on keeping the bar close to your body. Turning your focus to either the barbell or your immediate surroundings can increase power production and is also a great teaching tool for developing proper motor patterns (6,10,15). The external focus idea seems to represent a paradox. Utilizing an internal focus or, “mind-muscle connection,” results in higher muscle activation when compared to an external focus – but external focus subjects seem to produce more muscular force and power. This is thought to occur through an improvement in neuromuscular coordination (15,17) and continuing to adopt external focus strategies can further improve coordination. This is incredibly important for beginning lifters or for athletes practicing to improve their sport skills. Perfecting the movements in the weightroom is much more important than focusing on activating specific muscles when you’re a beginner. Once the motor pattern is second nature, then you can adopt an internal focus – if your goal is bodybuilding, of course. Since bodybuilding is probably the most popular goal here let’s go over how the mind-muscle connection can help out. We already know that this connection can improve muscular activation – this means more muscle right? Right! One study included a protocol in which the researchers prescribed triceps exercises based on specific activation of the different heads of the triceps. They found that the greatest hypertrophy over the 12-week training period occurred in the heads that were activated the most during training (13). Therefore, increasing activation can certainly lead to growth, however, check out our Time Under Tension article here for a more in-depth discussion on this subject. When you’re trying to really boost your mind-muscle connection during lighter sessions, have a partner place their hands or fingers on the muscle you’re trying to target. This is referred to as, “sensory feedback,” or, “tactile stimulation,” and is one of the methods often used in studies assessing the mind-muscle connection (12). 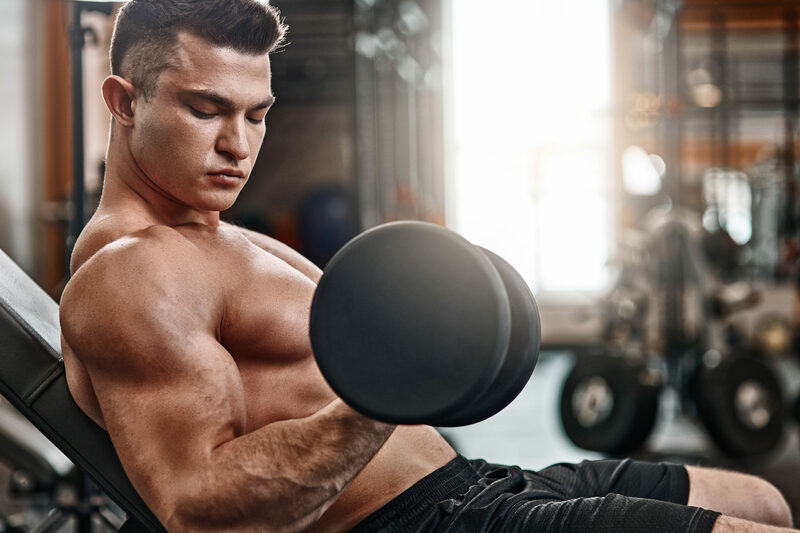 Besides this method, there’s a few specific strategies to boosting activation in various muscle groups that have worked anecdotally for many. If you’re interested in any specific muscle group, drop a comment at the bottom of the page and we’ll go over that muscle in more detail. As a bodybuilder, it’s important to remember that things like specific exercises, tempos, rest periods, and even internal/external focuses are all tools to your training program. You can’t just subscribe to one of these aspects and expect to make significant gains. You need to make a plan that utilizes all of these ideas, and sometimes that means ditching the mind-muscle connection and trying to lift some seriously heavy weight for a few weeks to mix it up. The increase in mechanical tension and stress will offer a different stimulus for adaptation as opposed to just relying on activation. It’s the same idea if you’re a weightlifter, powerlifter, or strongman competitor. Understand that your sport requires you to produce massive amounts of force and power, so externally focusing on the movement of the barbell/implement and your surroundings may help increase your performance. But there’s also times when you need to back off the weights and drop down to lower intensities. This is a great time to adopt an internal focus to increase activation and continue making gains even during a de-load period. At the end of the day, it doesn’t necessarily matter what your goals are because you can utilize both of these focusing strategies in any program. Going lighter and want more activation? Mind-muscle connection it is. Trying to deadlift your neighbor’s house? External focus is the way to go. Add these to your toolbox and continue implementing new ways to challenge your body and create growth. Al-Abood, S. A., Bennett, S. J., Hernandez, F. M., Ashford, D., & Davids, K. (2002). Effect of verbal instructions and image size on visual search strategies in basketball free throw shooting. Journal of Sports Sciences, 20(3), 271-278. Bressel, E., Willardson, J. M., Thompson, B., & Fontana, F. E. (2009). Effect of instruction, surface stability, and load intensity on trunk muscle activity. Journal of Electromyography and Kinesiology, 19(6), e500-e504. Calatayud, J., et. al. (2016). Importance of mind-muscle connection during progressive resistance training. European Journal of Applied Physiology, 116(3), 527-533. Karst, G. M., & Willett, G. M. (2004). Effects of specific exercise instructions on abdominal muscle activity during trunk curl exercises. Journal of Orthopaedic & Sports Physical Therapy, 34(1), 4-12. Lewis, C. L., & Sahrmann, S. A. (2009). Muscle activation and movement patterns during prone hip extension exercise in women. Journal of Athletic Training, 44(3), 238-248. Marchant, D. C., Greig, M., & Scott, C. (2009). Attentional focusing instructions influence force production and muscular activity during isokinetic elbow flexions. The Journal of Strength & Conditioning Research, 23(8), 2358-2366. McNevin, N. H., & Wulf, G. (2002). Attentional focus on supra-postural tasks affects postural control. Human Movement Science, 21(2), 187-202. Porter, J., Nolan, R., Ostrowski, E., & Wulf, G. (2010). Directing attention externally enhances agility performance: A qualitative and quantitative analysis of the efficacy of using verbal instructions to focus attention. Frontiers in Psychology, 1, 216. Porter, J. M., Ostrowski, E. J., Nolan, R. P., & Wu, W. F. (2010). 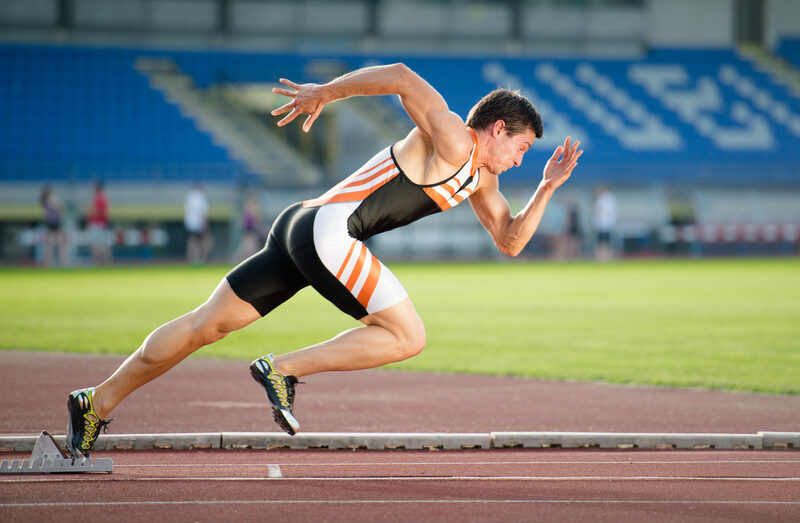 Standing long-jump performance is enhanced when using an external focus of attention. The Journal of Strength & Conditioning Research, 24(7), 1746-1750. Schoenfeld, B. J., & Contreras, B. (2016). 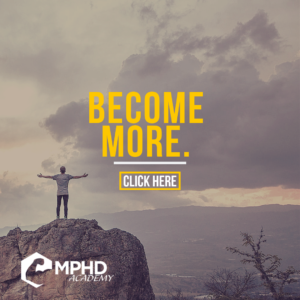 Attentional focus for maximizing muscle development: The mind-muscle connection. Strength & Conditioning Journal, 38(1), 27-29. Wakahara, T., Miyamoto, N., Sugisaki, N., Murata, K., Kanehisa, H., Kawakami, Y., … & Yanai, T. (2012). Association between regional differences in muscle activation in one session of resistance exercise and in muscle hypertrophy after resistance training. European Journal of Applied Physiology, 112(4), 1569-1576. Wu, W. F., Porter, J. M., & Brown, L. E. (2012). Effect of attentional focus strategies on peak force and performance in the standing long jump. The Journal of Strength & Conditioning Research, 26(5), 1226-1231. Wulf, G. (2008). Attentional focus effects in balance acrobats. Research Quarterly for Exercise and Sport, 79(3), 319-325. Wulf, G., Lauterbach, B., & Toole, T. (1999). The learning advantages of an external focus of attention in golf. Research Quarterly for Exercise and Sport, 70(2), 120-126.